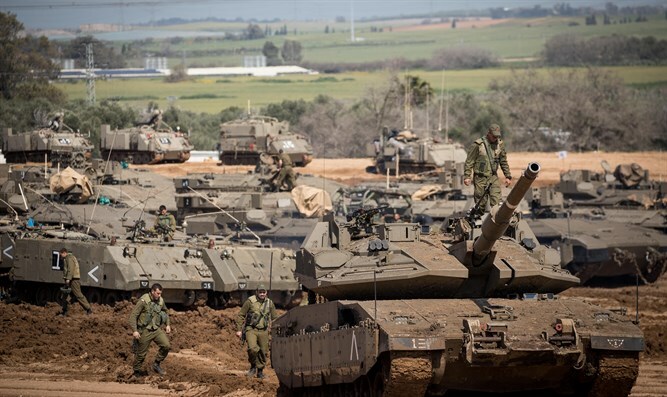 PM Netanyahu instructs IDF Chief of Staff to send additional forces to southern command as attacks from Gaza continue. Prime Minister and Minister of Defense Binyamin Netanyahu instructed IDF Chief of Staff Aviv Kochavi to move another infantry brigade headquarters and an artillery battalion to the southern command sector. In addititon, Lt. Gen. Kohavi cancelled the exchange of IDF battalions in multiple regions that had been scheduled for later this week. The tension in the south has continued despite claims by Hamas that a cease-fire had been reached. An Incendiary ballon which was launched from Gaza in the afternoon landed in an agricultural field in the Eshkol region, causing a fire that destroyed a small area. Security personnel at the time identified the balloon used to launch the firebomb and extinguished the fire the explosive caused. Three incendiary balloons with firebombs attached were seen hovering above the Sha'ar Hanegev Regional Council. The balloons exploded in the air, over open spaces. At the same time it was reported that IDF forces had recently identified a number of Arab suspects crossing the perimeter fence from the southern Gaza Strip. One of the suspects set off a camouflage network in an unmanned military post in the area of the fence and all the suspects returned to the Gaza Strip.